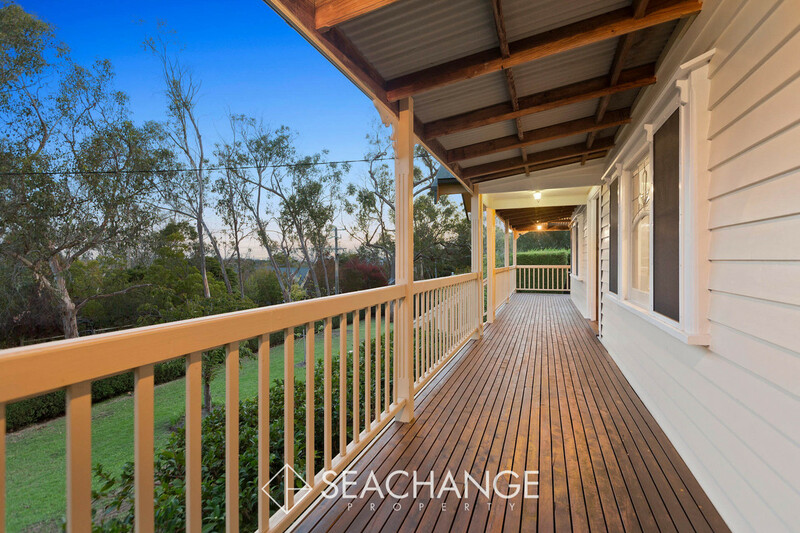 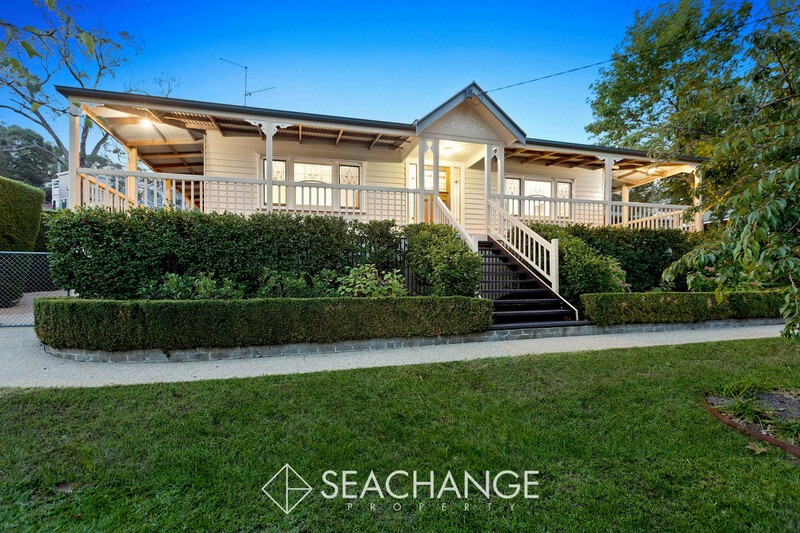 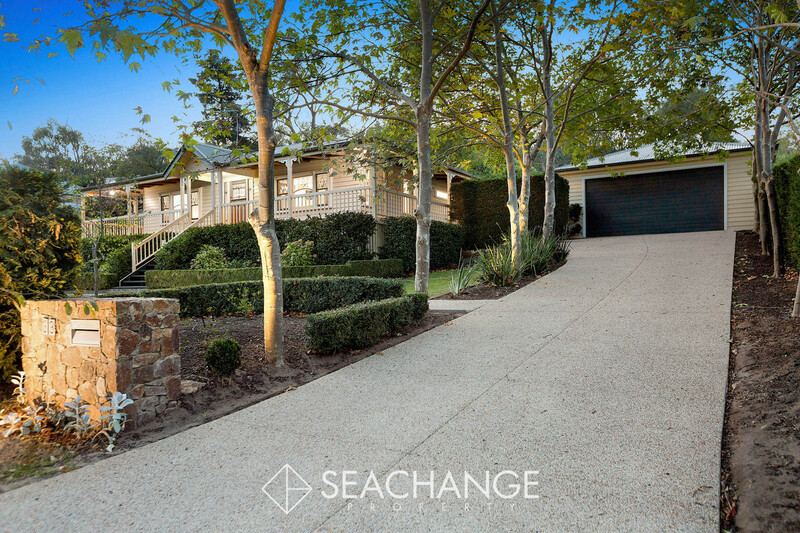 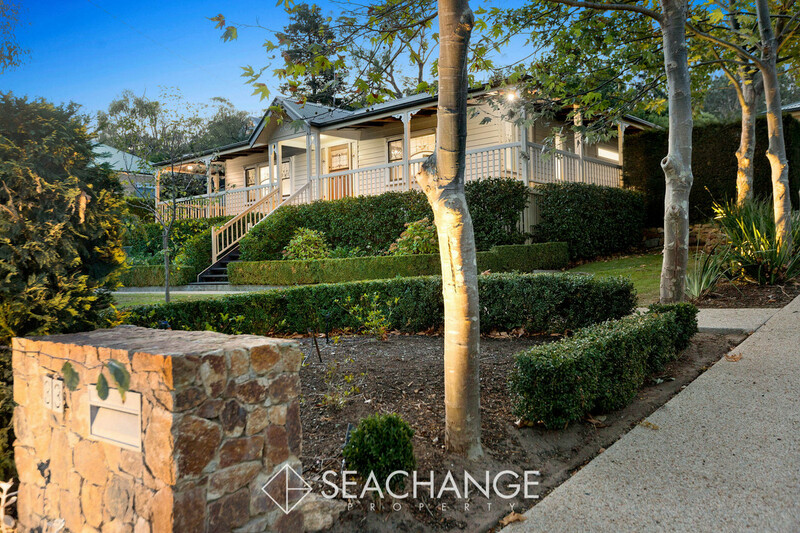 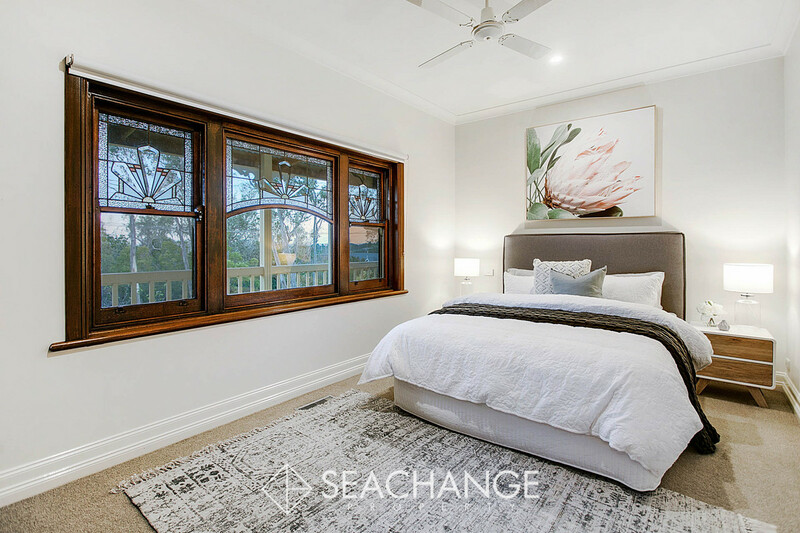 Fall in love with this Federation-style Queenslander beautifully elevated upon the treed Mount Eliza hillside. 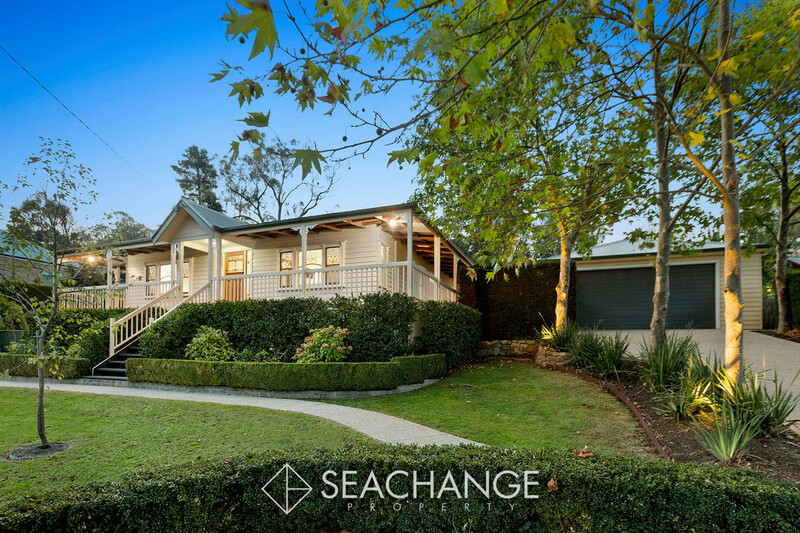 Ornate and traditionally detailed, this fine character weatherboard home offers a four-bedroom-plus-study design suiting today’s modern family. 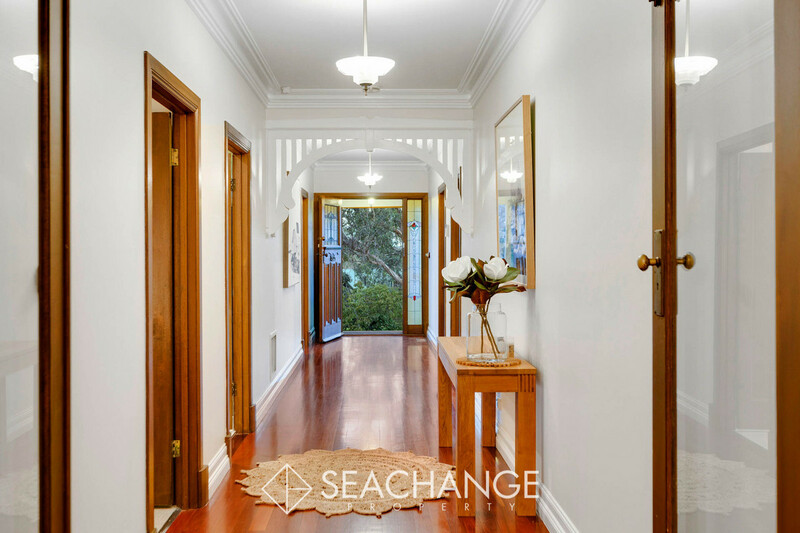 The wide central hallway gives passage to all the double robed bedrooms, one even has its own fireplace which could also be utilised as a cosy lounge room instead of a slumber space. 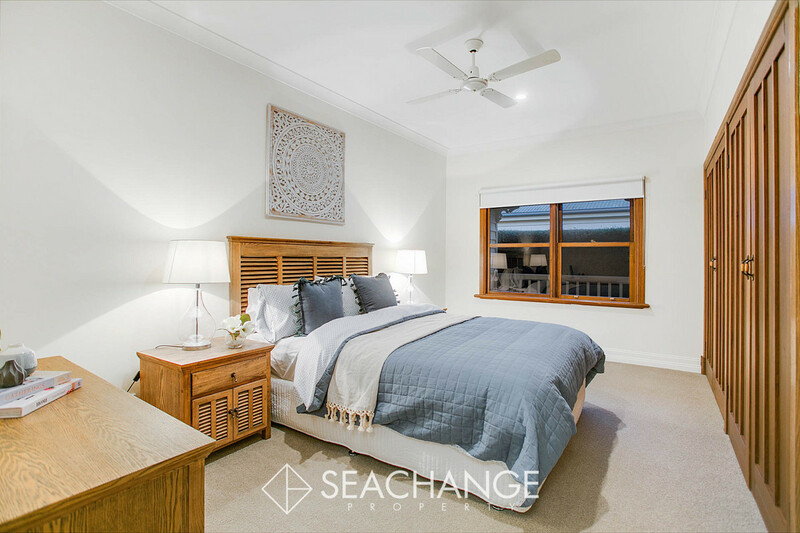 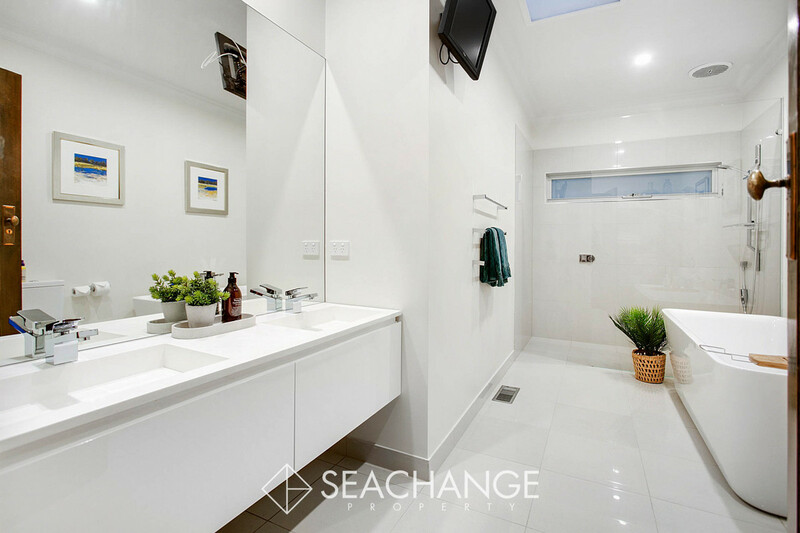 Ensuite and walk-in robe facilities adjoin the large master bedroom and the full modernised central bathroom has a deep soaking bath, tiles to ceiling, huge shower and twin vanities. 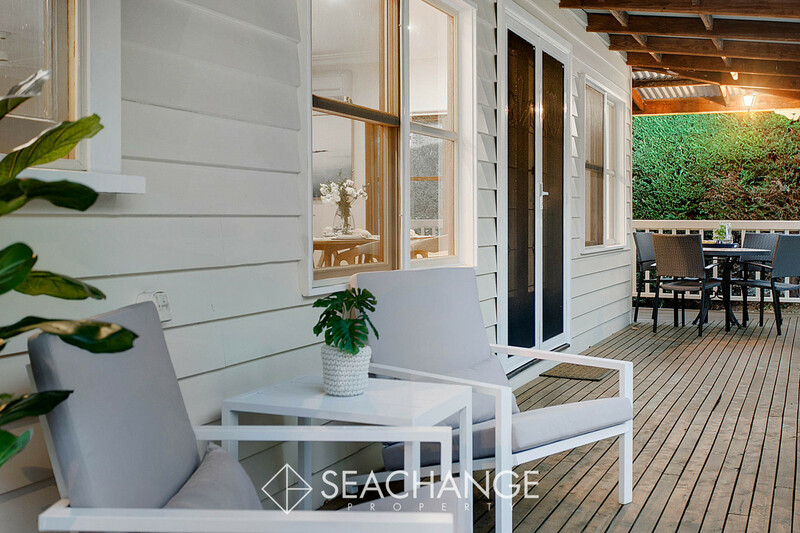 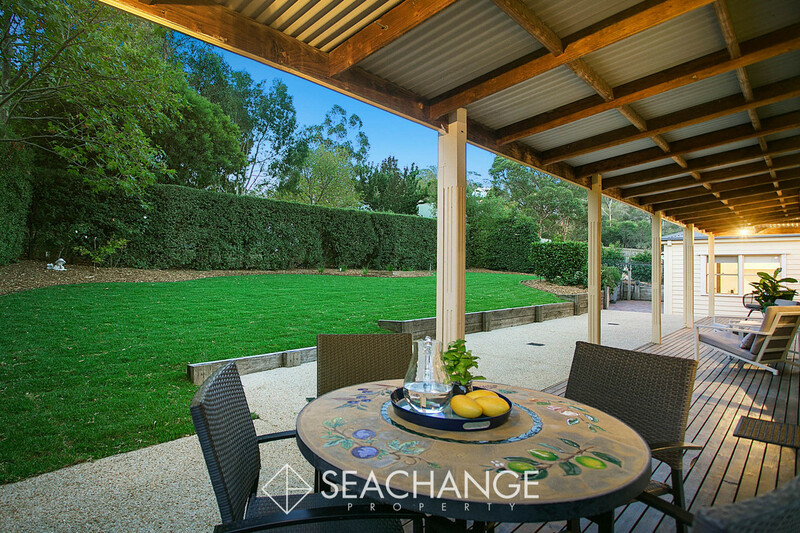 Wrap-around verandahs extend the living areas providing lovely shade and protection from the elements. 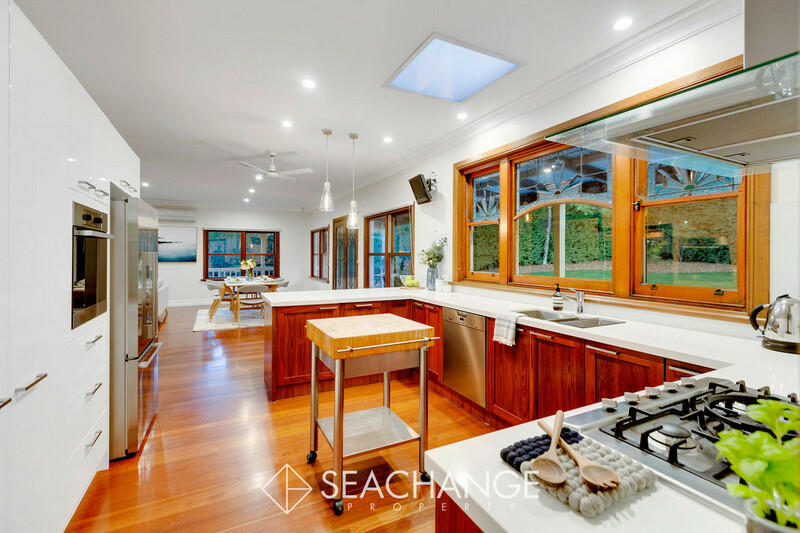 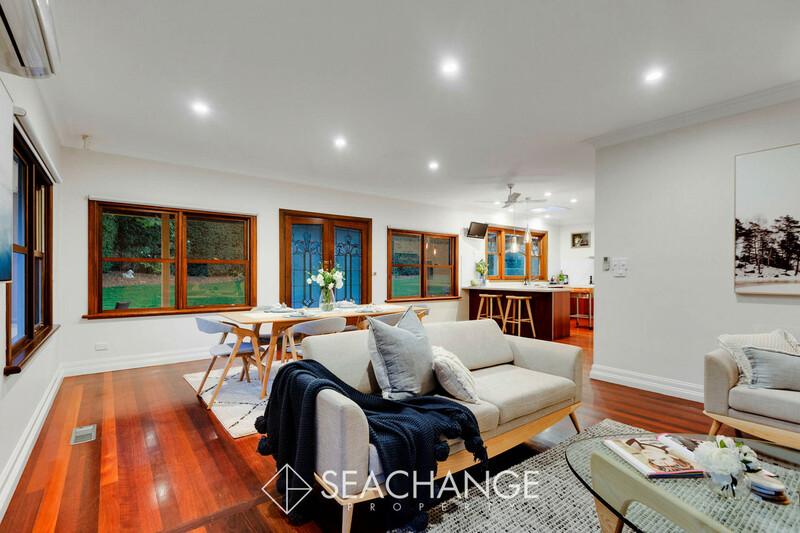 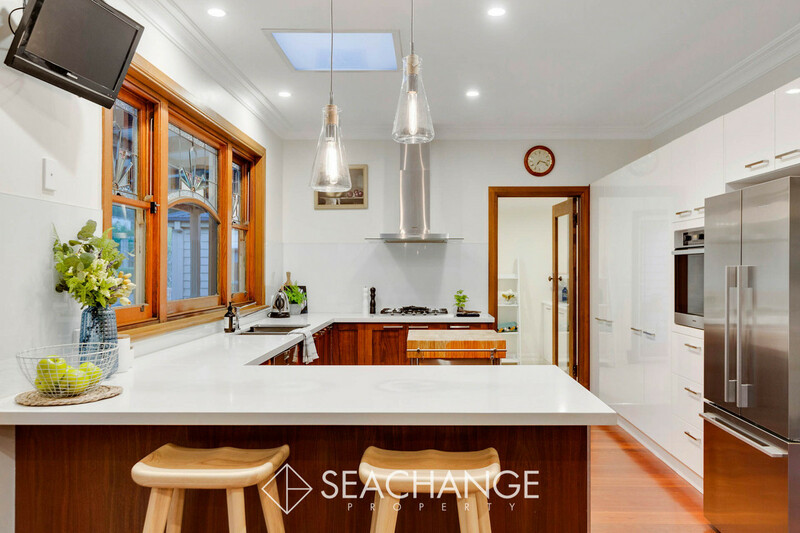 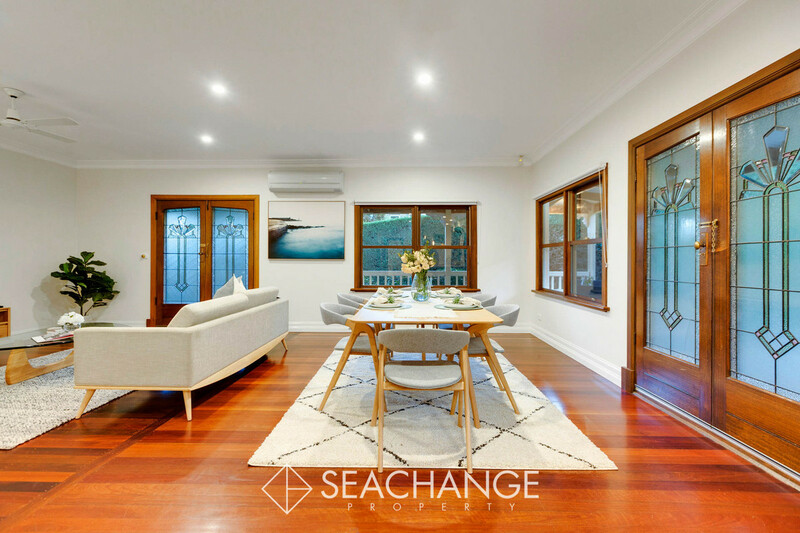 The family/dining room to the rear flows to the stone-topped all-Miele kitchen and French doors sourced from old Mount Eliza Train Station are an impressive feature. 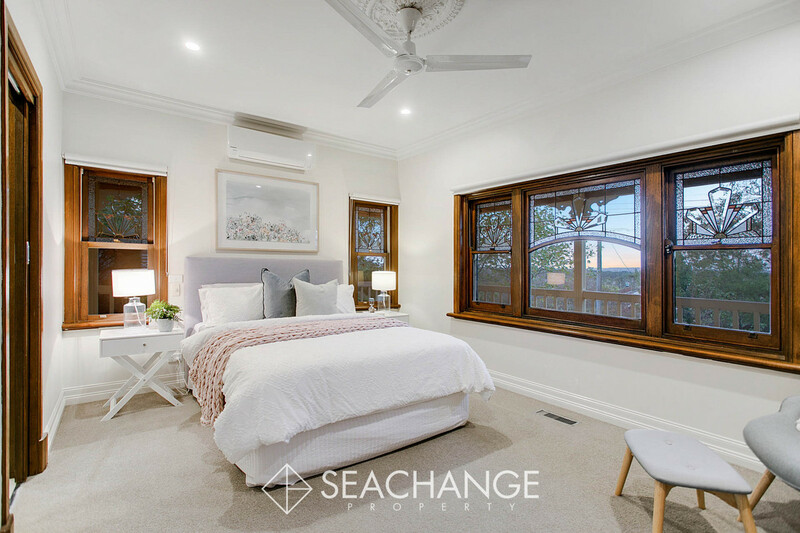 Jarrah flooring, high ceilings, vintage leadlighting, elegant roses/skirting, antique-inspired light switches, double-hung windows and classic decorative details stamp period charm and timeless style throughout. 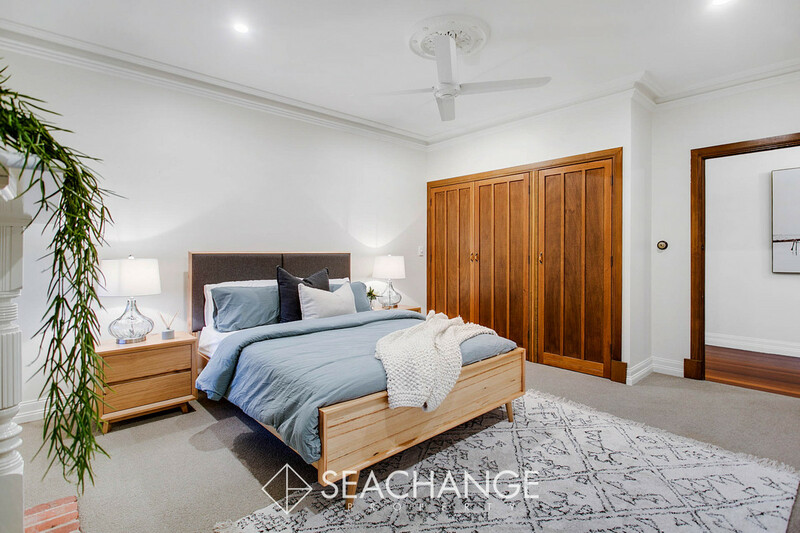 Split-system cooling, ceiling fans, gas floor heating and gas ducted heating is ideal whilst the security system keeps everyone safe. 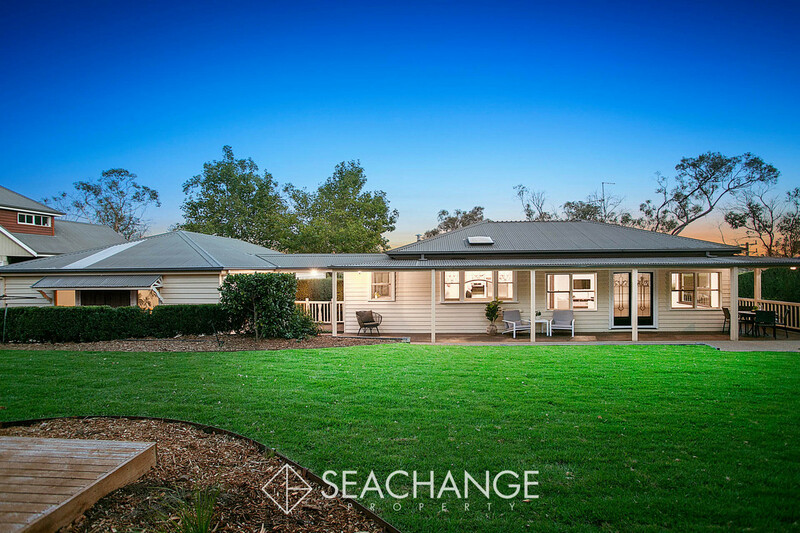 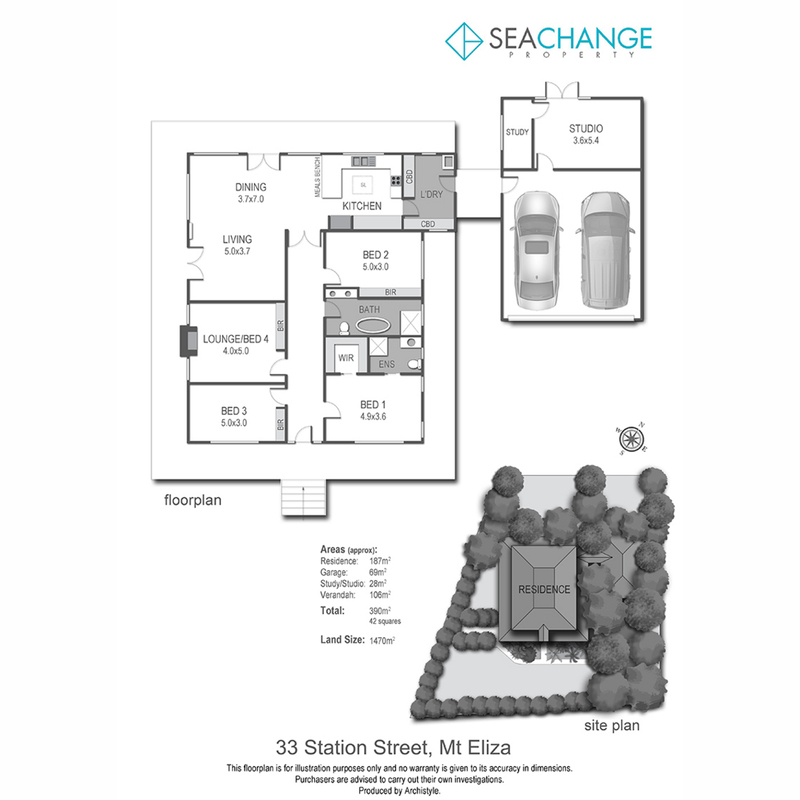 A home-based business can be run from the separate office area which adjoins a casual rumpus room and oversized freestanding double remote garage. 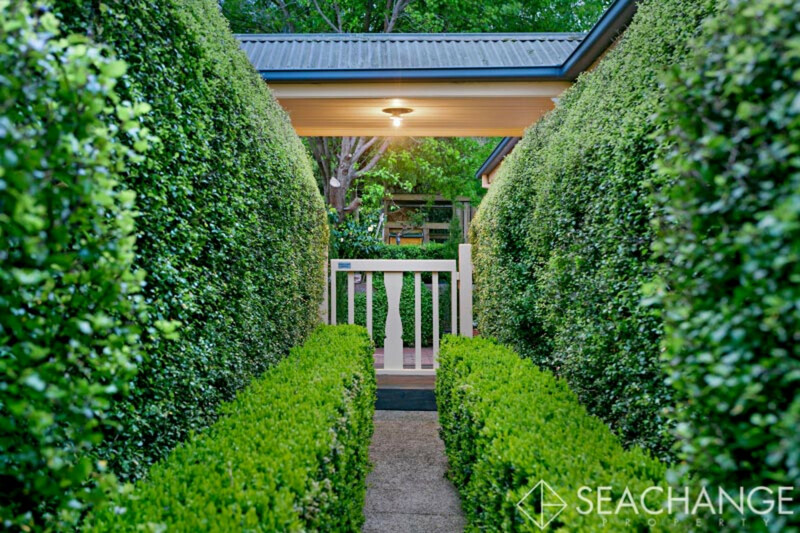 Plenty of off-street parking is available up the driveway and there’s lots of room on the 1470m2 allotment (approx.) 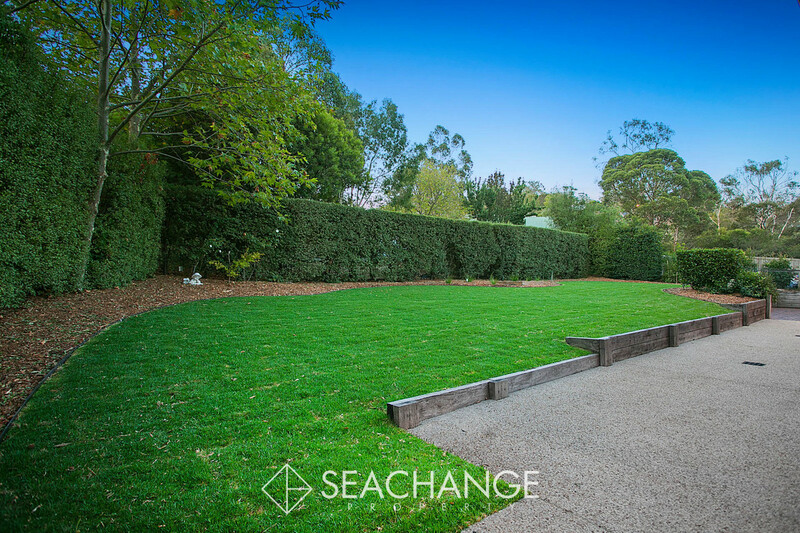 for children to play securely within the confines of the old-world hedged boundaries. 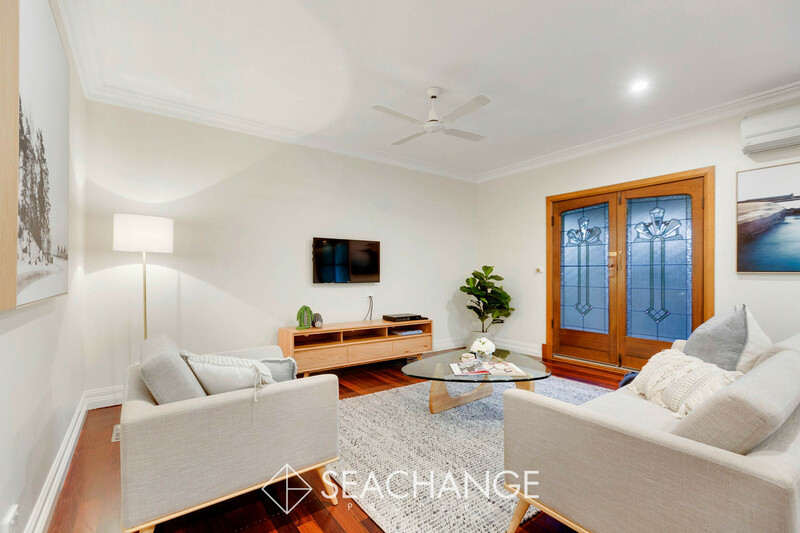 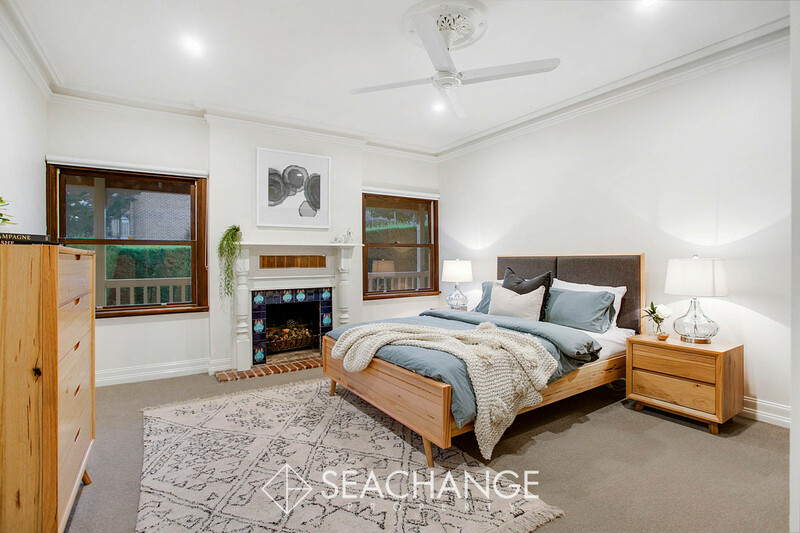 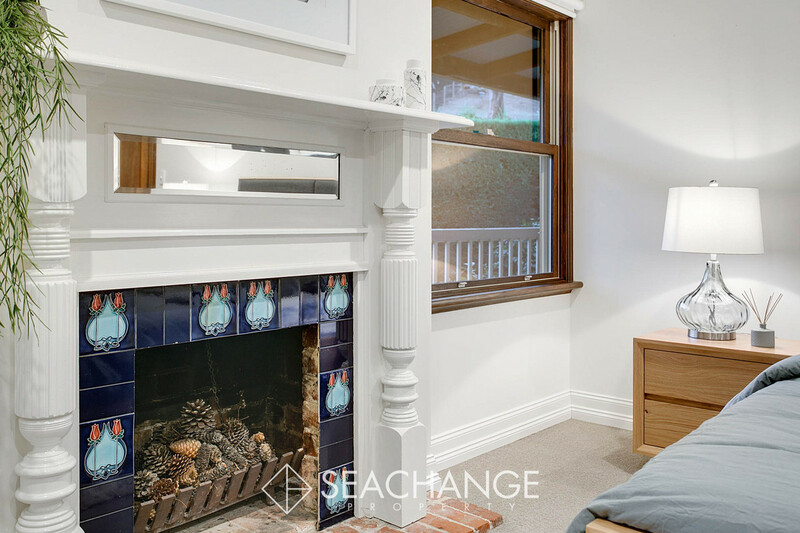 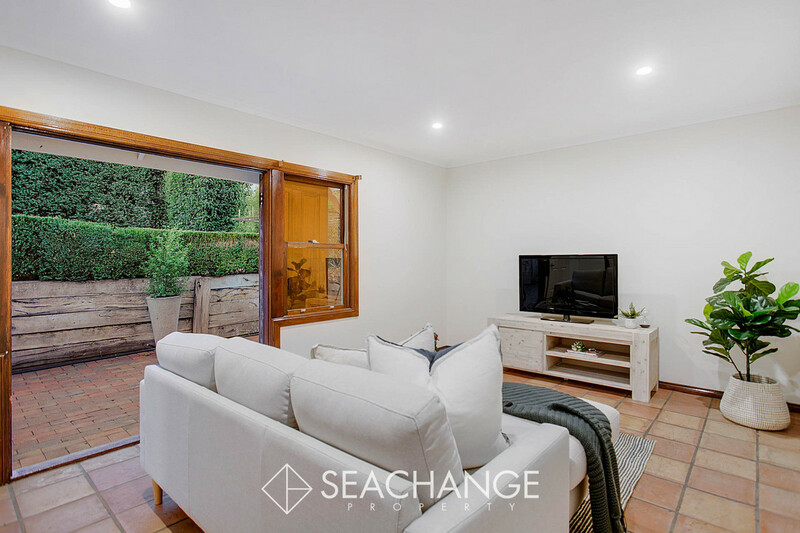 Timeless appeal, classic character and period charm combine to deliver a home of true comfort close to popular schools, Peninsula Link/Moorooduc Highway, the flora and fauna reserve, village shops and a selection of Mornington Peninsula beaches.